Christmas dinner is perhaps the biggest household cooking event of the year, so choosing a chef to take on kitchen duties isn’t a decision to be taken lightly. Rightmove questioned over 4,200 home-owners on which TV chef they’d most like to hand over their kitchen to and cook their Christmas turkey – the findings revealed that Jamie Oliver is the chef who Brits would most like to cook their festive meal, coming out on top with just over a fifth of the vote (22%). Jamie narrowly edged out Nigella Lawson (18%) and Delia Smith (15%) into second and third place respectively. 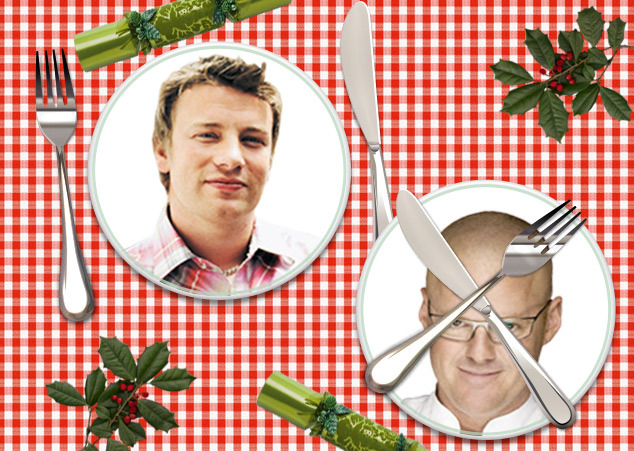 One in ten would allow Nigel Slater (10%) and Gordon Ramsay (10%) to be their Christmas cook, while just 7% of Brits would put Heston Blumenthal in charge of their kitchen – perhaps mindful of Heston’s penchant for explosive culinary experiments! Interestingly a further 13% of respondents stated that they wouldn’t put anyone else in charge of their kitchen at Christmas time.